For Albuquerque families who are searching for a new crossover vehicle, the Lincoln MKX might just be the perfect option. As well as offering some remarkable reliability and superb safety features, the Lincoln MKX is one of the most stylish and well-designed vehicles in its class. Here at Corley's Albuquerque Lincoln, we have been particularly impressed by the Lincoln MKX's available ambient lighting feature. As the driver approaches the vehicle, these lights illuminate the cabin with a warm and inviting glow. 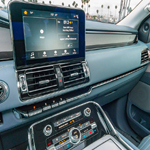 Long renowned as a leader in the luxury car market, Lincoln introduces a new crossover vehicle that takes its road performance as seriously as it takes comfort. With a turbocharged engine and all-wheel drive, your journey will be as smooth as it is comfortable in the new Lincoln Nautilus. 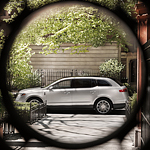 In a large vehicle like the Lincoln Navigator, features to help you look at your surroundings are a must-have. Luckily, this popular full-sized SUV is available with a robust camera system at Corley's Albuquerque Lincoln. Multiple cameras around the body of the vehicle help you get a clear view wherever you go. The 360-degree camera system utilizes multiple cameras. There's one on the front of the SUV, one on the back, and one on each side mirror. When you shift into reverse, the camera feeds are stitched together and displayed on the infotainment screen. The new Lincoln Continental is a stylish ride that's sure to attract attention wherever you go. The popular luxury car has a sleek exterior that's perfect for any modern driver in Albuquerque. Innovative design features around the body of the car make it stand out from the crowd. 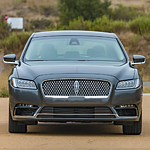 When you first lay eyes on the Lincoln Continental at Corley's Albuquerque Lincoln, you'll notice Lincoln's iconic front grille. The beautifully designed grille is large and very bold. It features the brand's Star Mesh design. The grille is covered in an eye-catching mirror chrome finish. While it may be tempting to drive at high speeds, it is rarely a wise decision. For one thing, you are very likely to lose control of your vehicle at high speeds when you are driving at high speeds on a dry road. 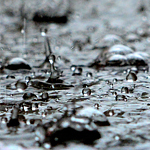 The wet road increases the likelihood. Buying a car doesn't have to be a stressful situation. 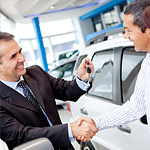 If you come in prepared to haggle, you have a better chance of getting your new vehicle for a good deal. We want you to make an informed purchasing decision, so here are some tools you can use for negotiations. Your family deserves nothing but the best when you purchase a new vehicle, and you should be able to drive a vehicle that performs well on the road. 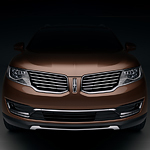 The Lincoln MKT is a popular mid-size crossover and a vehicle with great performance features. Mobile technology has become an indispensable tool of modern life, and Lincoln recognizes that. That's why they designed the 2018 Lincoln MKZ to integrate with your smartphone using the Lincoln Way mobile app. The Lincoln Way puts convenience and safety at your fingertips wherever you have your smartphone or other mobile device. You can make parking reservations in advance, lock, unlock, and start the Lincoln MKZ remotely, and get roadside assistance using the app. You can even schedule pick and delivery times with your local dealer when the Lincoln MKZ needs maintenance. 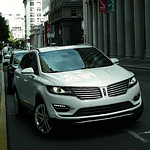 The Lincoln MKX is a crossover SUV that boasts executive-tier amenities for American families. Available in four editions, this lavish vehicle has a starting price of slightly more than $39,000. The sound system in the Lincoln MKX is designed by the Revel brand, which is considered a leader in acoustics on an international scale. The Ultimate edition of this premium audio system includes a total of 19 speakers that are strategically set up in the well-appointed cabin. The standard Revel audio system includes 13 speakers. 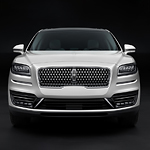 The Lincoln MKC is a luxury sport crossover with athletic lines. There are crisp lines found throughout the exterior as well as a high beltline. You will have the opportunity to choose between 18-inch, 19-inch, and 20-inch wheels based on your preferences. The exterior features a sleek grille that highlights dramatic HID headlamps. You can also choose a variety of features, including a panoramic vista roof, a hands-free liftgate, as well as auto-folding power mirrors. The interior boasts a peaceful atmosphere with front glass that reduces some of the road noise.